The Swiss Data Cube team has recently received a grant to support Armenian colleagues from the Center for Ecological-Noosphere Studies (CENS) and the Institute for Informatics and Automation Problems (IIAP) of the National Academy of Sciences in developing the first version of an Armenian Data Cube. The project is entitled “ADC4SD: Armenian Data Cube for Sustainable Development”. Armenia, one of the most industrialized post-soviet country, encounters numerous environmental issues. Since 90s, the economic policy shifted towards a strong support to industrial development greatly ignoring environmental interests. In 2016, Armenia has initiated the Sustainable Development Goals (SDG) nationalization process and encounters various problems caused by the lack of sufficient data impeding efficient national environmental monitoring. Alternative means need to be developed to fill this gap. Therefore, Earth Observation Data Cubes (EODC) represent a promising solution for continuous remote environmental monitoring in Armenia. However, technical capacities of Armenian institutions need to be improved to benefit from the new possibilities offered by EODC. 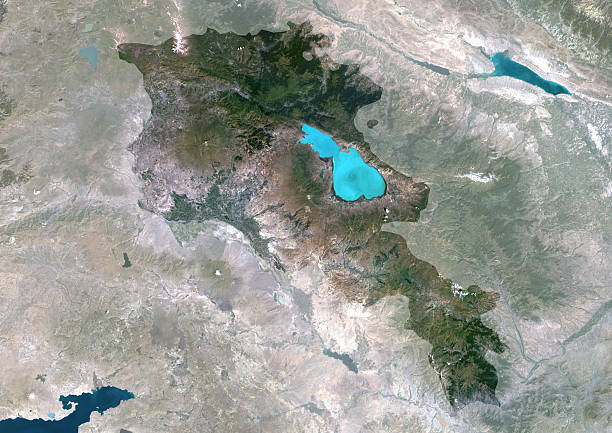 The main objective of ADC4SD will be to transfer the necessary knowledge from Switzerland to Armenia for developing and implementing the first version of an Armenian Data Cube (ADC) with a complete and up-to-date archive of Earth Observations data (e.g., Landsat, Sentinel-1&2), benefiting from University of Geneva & GRID experience in implementing the Swiss Data Cube. This project jointly lead by UNIGE/GRID (Dr. Gregory Giuliani); CENS (Dr. Shushanik Asmaryan); and IIAP (Dr. Hrachya Astsatryan) is supported by the UNIGE Leading House for Swiss Science and Technology Cooperation with Russia and the CIS Region under a mandate from the Swiss State Secretariat for Education, Research and Innovation (SERI). The project will start in October 2018 for 2-years. We would like to thank the UNIGE Leading House and the SERI for their support.